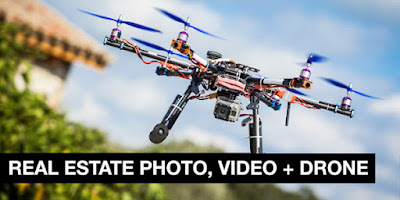 Real Estate Investors of Virginia: Drone Based Photography In Real Estate, This Week At REI of Virginia. Drone Based Photography In Real Estate, This Week At REI of Virginia. This week our guest speaker will be Mark Turner. Mark owns a company that is doing drone based photo and video which has taken off in the major real estate markets throughout the country. These photos, and or video, can be used for both the sale of your flips or to attract a higher end tenant at a greater price point for your rental. These breathtaking shots aren’t only suited for million dollar mansions as it doesn’t cost much to have it done. Drones are also beneficial when purchasing a property and checking the roof condition. Or checking a leak on one of your houses you already own from the ground to keep your contractor on point to identify the problem rather than just say the whole thing needs to be replaced.